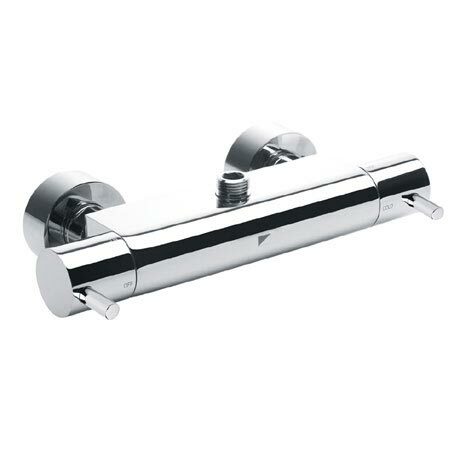 The sleek shape and functionality of the Storm Top Outlet Bar Valve will make an impact in any bathroom. The valve is fully thermostatic and is designed for use with a rigid riser diverter rail for control of two separate shower accessories. An easy fixing kit is supplied to assist with the surface mounted installation.